Most people who purchase a home require some financial assistance. That is, they require someone to lend them sufficient funds to cover the price of a home. Most often, this financial arrangement is handled through a bank or other institution through a MORTGAGE. A mortgage is a legally binding agreement that states a certain party (mortgagor) lends money to another party (mortgagee). The mortgagee agrees to pay back the money at a certain rate, plus interest, over a certain time period. There are two parts to this financial agreement: principal and interest. Principal is the actual amount borrowed. Interest is the lender's fee you are charged for borrowing. You also have to determine the amortization period (the length of time it will take to completely pay off the mortgage) and the term, or length of time each mortgage agreement guarantees the interest rate. When you are considering a mortgage, you have many options to consider such as type of mortgage (closed, open, high ratio, vendor take back, convertible), payment schedule (weekly, bi-weekly, monthly) amortization period. Before you sign any documents, shop at several institutions and compare rates and features. You could save, or lose thousands of dollars when the terms, interest rates and payment schedules are not working in your favor. These items are negotiable. When interest rates are lower, your monthly payments are lower, so you might qualify for a larger mortgage. However, the larger the mortgage, the more you will pay in interest over the length of the mortgage. Your home will cost you more. If you can afford a bit more, without sacrificing your lifestyle, this will greatly contribute to reducing your financial obligation. To qualify for a conventional mortgage, you need a down payment of 25% of the purchase price. 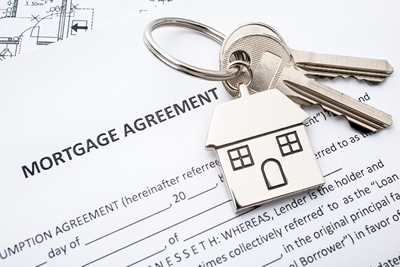 The mortgage cannot exceed 75% of the appraised value. If you have less than the 25%, you may qualify for a high ratio mortgage. If you qualify, you can purchase a home with a minimum 5% down payment through CMHC (Canada Mortgage and Housing Corporation). Insurance, for an additional 0.5% to 2.75% of the mortgage amount, is mandatory with a high ratio mortgage. The house price may also be capped. See article in this series. House hunting takes a great deal of time and energy. And that is even with pre-approval. Before you start shopping for your dream home, go to the bank. Talk to the lending officer and review your mortgage options. Fill out the necessary paperwork (which only takes a few minutes), and you will know within a matter of days whether you are approved for a mortgage, and for how much. You will know what you can spend on a home before you start looking, you will be protected against interest rate increases, and most importantly, you will be well prepared to make an immediate offer on a home you like. A seller is more likely to consider an offer free and clear of encumbrances. With pre-approval, you are showing you are serious and ready to buy. With this simple and FREE service, you will eliminate problems down the road. Competitive interest rates. Check out all options and interest rates. Sometimes, flexible features may cost more. 90-day rate guarantee. You will be protected against rising interest rates while allowing you to take advantage of falling rates. Flexible payment options. With these areas, you can tailor the mortgage to your lifestyle. Discuss payment frequency and lump-sum payment options. Can you skip a payment in special circumstances or double-up on your payments? Closing costs: Be sure you have a clear understanding of the fees involved.